For many tradesmen a ladder is a crucial piece of frequently used equipment. The challenge for many is how to load and transport a heavy, bulky ladder many times a day safely and efficiently. Loading and unloading a heavy ladder from a roof rack many times a day can become a real chore and it can also become a potential injury if it’s not done right. 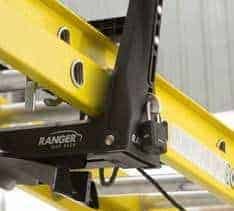 That’s why Ranger Design van racks make loading, unloading and securing ladders a simple one-person operation. These van racks are pure function and usability; with a huge weight carrying capacity and the ability to carry up to a 28’ extension ladder. Durable and secure, these heavy duty van racks are made from rust-proof aluminum with stainless steel hardware and have an attractive powder coated white finish. All racks have an aerodynamic design that helps reduce wind noise and buffeting. Ranger Design aluminum van racks are much lighter and longer lasting than steel racks. Designed to meet the needs of any tradesman, there are several styles of van and roof racks (single, double, cargo, combination and drop down) to help you. Check out our combination van ladder racks that can be customized to carry extension ladders, step ladders or a variety of loads and materials. Today’s high roofed cargo vans have proven to be very popular among tradesmen. However, it can be a real challenge to load a ladder onto a standard roof rack safely – without doing damage or getting injured. 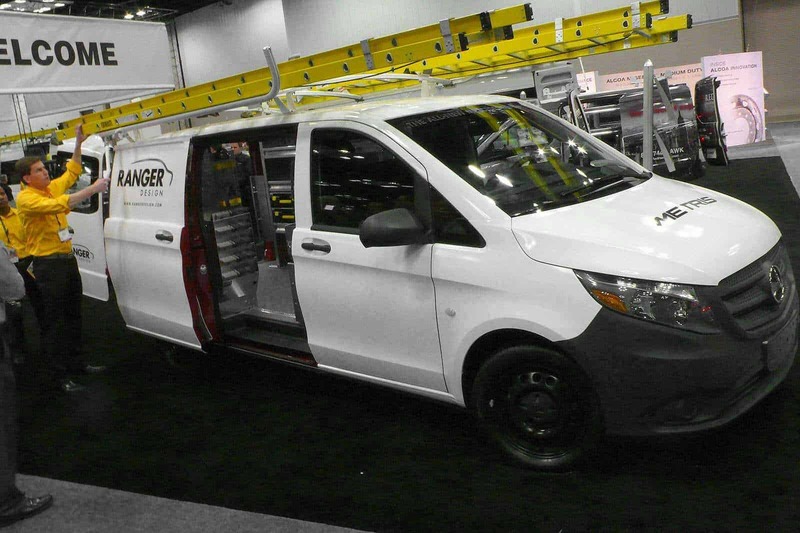 With this in mind, we used what we heard from tradesmen in the field to design this innovative van rack system. Ranger Design’s new gas shock assisted drop down mechanism is the safest choice in van racks. Unique with its REVOLUTIONARY SINGLE MOTION OPERATION, it is proving to be the faster, safer, tougher drop down roof rack for ladders available. This patent-pending system is now available. Learn More. 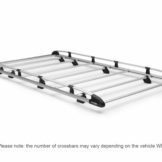 This new cargo van rack is now available for the following vans: Ford Transit, Mercedes Sprinter, Nissan NV and the Ram ProMaster. Ranger Design cargo racks are ideal for carrying lumber, pipe, plywood, and can be used for ladders too. Their heavy-duty tubular aluminum extrusion construction can carry your heaviest loads. For more capacity, just add another bar. All Ranger Design van racks are covered by an industry leading 10 year warranty and a world class customer service standing by to help you out with any request you may have. 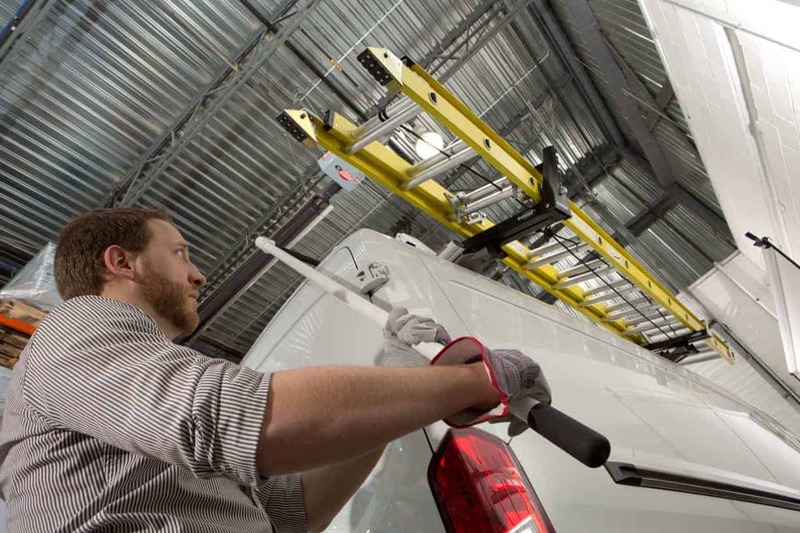 Check out our catalogs to get the right van rack for your needs and vehicle. Please give us a call to learn more at (800) 565-5321, contact us or request a quote.